Renault Group, which incorporates both the Renault and Dacia brands, is holding a special offers event on models registered before March 31. In addition to offering customers value for money, these offers will reduce the cost of ownership. 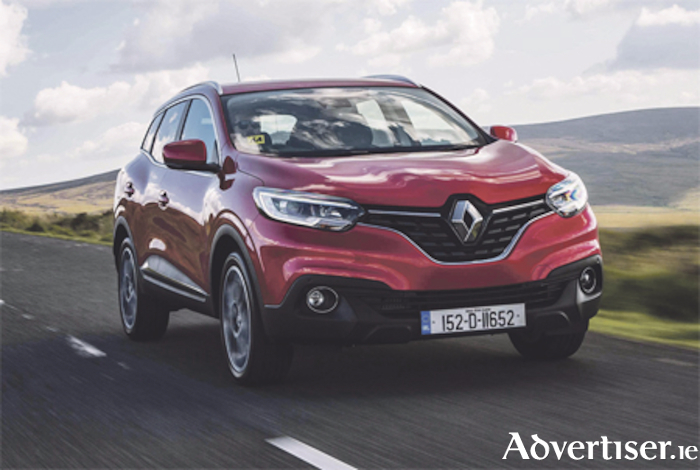 The Renault passenger car offer includes three per cent APR, plus three years’ servicing and €1,000 cashback, while the French marque is also offering zero per cent hire-purchase and three years’ servicing on their stylish Kadjar. With the recent Government budget announcement on Electric Vehicles and zero per cent benefit-in-kind, Renault is ‘matching the zeros’ on the zero emissions electric ZOE with a zero per cent hire-purchase offer. Dacia also says that it is offering zero per cent APR on the Sandero Stepway Alternative 1.5 dCi diesel, and 4.9 per cent APR across their refreshed range. On Renault’s award-winning light commercial vehicle (LCV ) range which includes Master, Trafic and Kangoo, customers can avail of three per cent APR hire-purchase over 60 months with a reduced deposit. These offers are available through Renault Bank, which it claims is offering customers lower interest rates and further savings versus high street commercial banks. A Renault Bank branch is effectively available in all their dealerships, offering a two-hour decision times and claimed approval rates of 80 per cent.